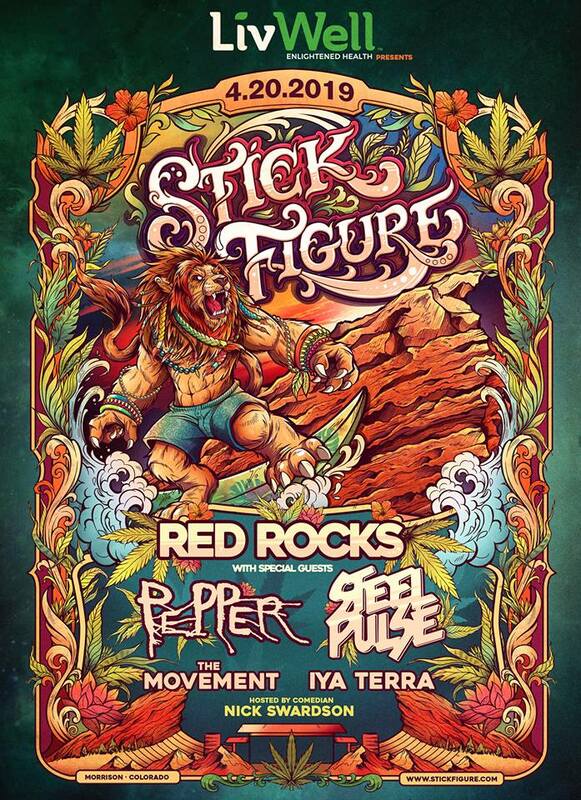 This week, Stick Figure excitedly announced their first headlining show at Red Rocks on Saturday April 20th, 2019! Red Rocks Amphitheater is located in Morrison, Colorado and looms at the top of many a person’s bucket list. What makes it so unique is the way that it is geologically formed between two to three hundred-foot monoliths that provide excellent acoustics for any performance. It’s one of the most unusual and unique venues in the country. And, what better way to celebrate this natural wonder than through a handful of the best reggae rock bands live on 420? ?